SAVE 46%, REGULARLY PRICED AT $28! 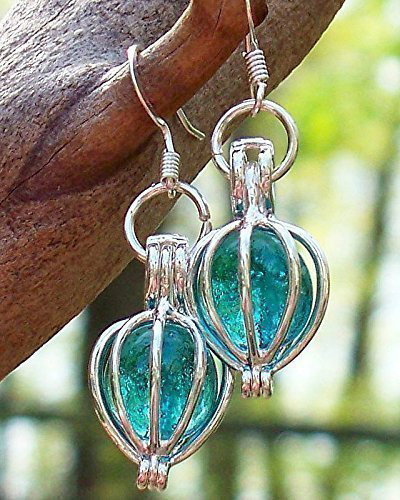 From the antique glass and bottles reclaimed from the woods and farmlands in Pennsylvania, these pretty simple drops are filled with the glowing aquamarine remains from broken vintage blue mason jars. The glass has been reclaimed, ground and fired. Teardrops measure .5″ wide at the widest point and have a total hang length of approx. 1 1/4″. Each piece of Bottled Up Designs includes “The Story of the Glass” detailing the history and age of the glass used. Drops are sterling plated brass, ear wires are surgical steel.